Later this year when our little one is born I am planning on being able to breastfeed. partner can help with feeding times and also build up a bond with your child. soft flexible breast cups to help minimise tugging and pinching. has a chance to win one. Competition ends in 2 weeks time on the 23rd July. My friend is expecting soon and this would be a great gift. My brother and his girlfriend are having there first baby so this would be perfect for her. My niece has just had a baby (literally just 3 days ago) and I would love to give her this fantastic prize. I would like to win this for myself. 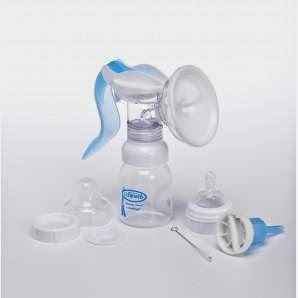 I will be breastfeeding and it would be nice to have a pump that is easy to use and easy to travel with. I breastfed my first and would express using a manual pump. Nearly eight years on I would like to do it again with the next one but as I gave all my baby stuff to expectant friends I have nothing so have to start from scratch again! My cousin has just had a little girl. I would like to win it for my baby who is du and they say it's more healthier for the child to breast feed. I return to work soon, and starting to introduce bottles, this would be amazing! My nephew was born very prematurely (unexpectedly so) therefore my sister is not ready and has not got any baby stuff yet and can really do with this. We have just found out that we are expecting and are planning to breastfeed. I really want my husband to help out with feeding and so getting a breast pump is a must for us! I would like to win because I am expecting a baby in January. My friend is expecting and she's very worried about breastfeeding, so anything that can help her would be good. For my wife she's just given birth and is this would be ideal for her so I could do my share of the night feeds and she would be able to get some much needed rest. Great for my twin baby girls!